Real men use Schrader valves. Today’s installment of all English Week, Dave M.’s Hercules Royal Geoffrey. Very similar to yesterday’s Raleigh Sports in era, but a much more conservative interpretation. I really can’t get enough of those spoon handle shift levers! I have no idea when it was built.But it sure is one sweet old bike.Free???????? Interesting concept, what does it mean? Just kidding, Noble work Dave,I salute you. Similar to a Raleigh Sprite (5spd/10spd version of the Sports). White grips? 1969? whats it worth please, I have one in great shape. That’s really a stunning bike! Thanks, Bob H. James, you’re probably right. The frame,fenders and other parts look similar to English 3 speeds from the 69-70 era. Hugh, I’m sure most regular contributers to this site are pretty good bike mechanics. Most charities that take donated items get way more broken bikes than they know what to do with. Volunteering is good for your soul. I encourage anyone with a work space and some spare time to do it. You may spend a little of your own money initially on tires, tubes and cables, but it doesn’t take long till you have parted out enough clunkers to use mostly recycled parts. And as a bonus you get first pick of all the cool stuff! Dave M., way to go beyond the call of duty. The rescue mission in my city adjusts the gears and brakes and will true the wheels but everything else pretty much remains the same as when it was donated. I’ve bought some pretty nice bikes for cheap, which works because they do minimal work, sell them low, and the buyer pretty much knows that they will be spending around $50 for new tires, tubes, tape, etc. Sounds like you’re doing some good work for the charity and having a little incentive never hurts. VERY nice. I’ve also aquired a Hercules; same headbdge and pie plate/but a ladies 5 speed. Can’t find a serial number anywhere. Any help appreciated. 5 short of submission. Julie, submit your 5 speed anyway. Others have gotten away with it. My Men’s Hercules 10 speed has the serial number on top of the lug under the seat. 6 digits. I hope this helps, and I hope to see your bike here! 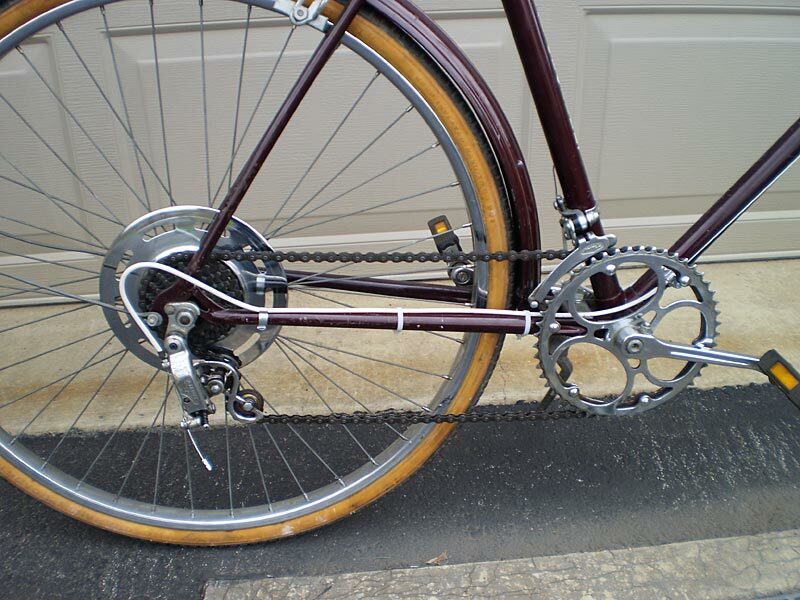 Neat bike, it looks very similar to my black 3 speed Sears made in Austria , 630 mm. tire bike. Good work. I’ve been trying to find the manufacture date of my Hercules 10 speed also. Those chainrings, paddle shifters,and deraillers are what I’ve been going by, anywhere from 1962 to 1969 is as close as I can figure. I was hoping the SA wheeles would have a date, but they don’t. Hercules was made by Raleigh (Nottingham) beginning in 1960. 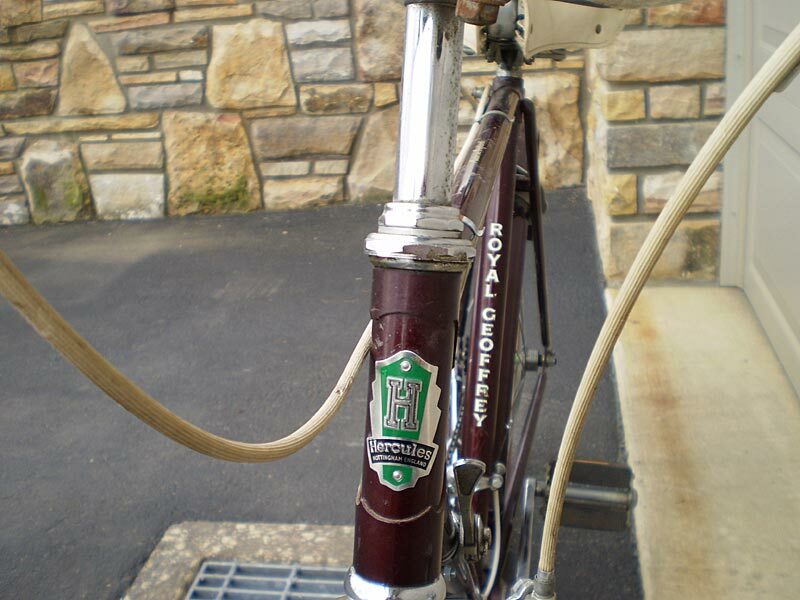 Before that, they were made byt Hercules, the headbadge would say made in Birmingham. My serial is 279990, how does that compare to yours? My serial is located right under the seat on the top of the lug. 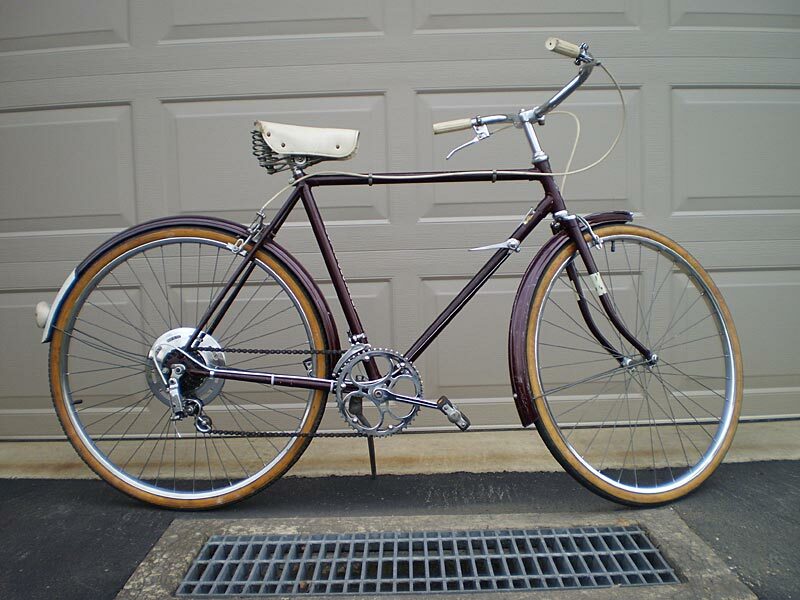 how much for perfect condition hercules 1969 mens bike? Unfortunatly-not a high dollar machine/even in its day. Not a collectible either (well, to the right person maybe) I sold mine for around 125-hope this helps.